Peppermint in December is it. Chocolate is good any time of year, but when paired with the refreshingly cool tones of peppermint, my heads spins a little. 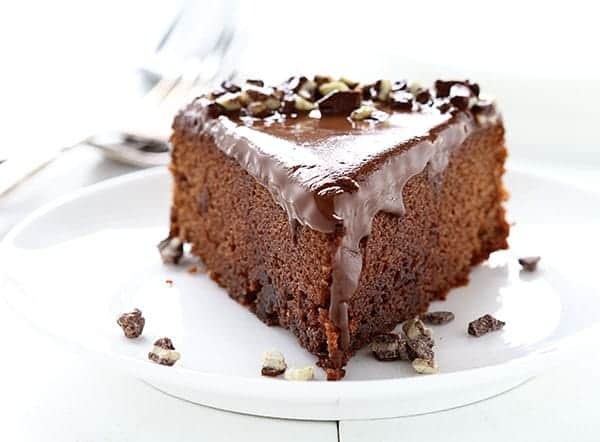 I love taking a breath right after a bite of this cake; the rich chocolate flavor lingers, but the air traveling down my windpipe seems to be coated in sparkling crystals of peppermint bliss. I am getting ahead of myself, I do that a lot. 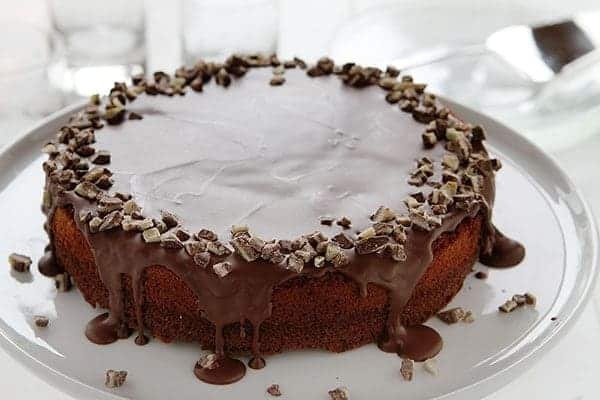 To make this delightful cake, I baked a simple one layer peppermint chocolate cake then covered it in melted Andes® creme de menthe chips and then sprinkled some around the top for good measure. This is quite a mint-y recipe, but I think we have established that I love a good peppermint! I do recommend eating this cake as soon as you have covered it in the melted chocolate. The longer the cake sits the harder the chocolate will get, and when it is completely cooled can be hard to cut into. 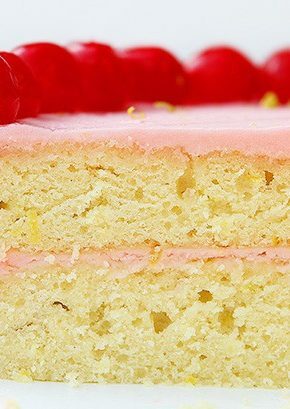 If you want to refrigerate the cake you certainly can eat it cold too! The chocolate peppermint combo is by far my favorite of all the holiday flavors! Such a great cake! 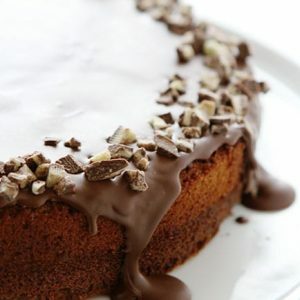 This looks so good – like an after eight in cake form! Do you have those in the US?! They’re delicious! I have not heard of that bar… must go google it!! Such a wonderful holiday combination…love this cake! This sounds fabulous! I’m a little confused as you mentioned mixing it with a white cake in #4, and I didn’t see any reference to a white cake in the ingredients/directions. Thanks a lot Amanda! Now this cake is all I will ever think about and dream about. So much for that diet I keep talking about starting. This chocolate peppermint cake looks super delicious, Amanda! Definitely craving a slice right now! This looks fabulous, and I’m definitely going to try it this month! However — maybe I just didn’t read closely enough — but I didn’t see how much chocolate is needed? Peppermint and December just go hand in hand, don’t they? And to think I haven’t made a single peppermint recipe! Looks like that is about to change 🙂 Gorgeous cake! Anything chocolate and peppermint this time of year is welcome in my kitchen. 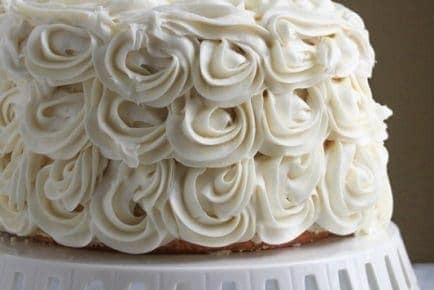 The cake looks great. Chocolate and peppermint are one of my all-time favorite flavor combinations. 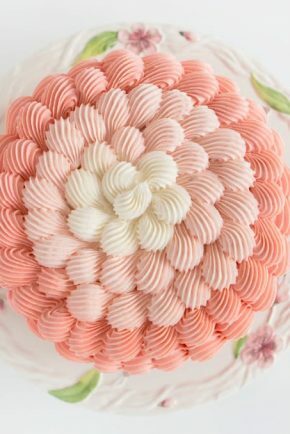 This cake is beautiful and you’re description of eating it has me swooning. Definitely making this very soon! This chocolate and peppermint combination looks divine! I love chocolate with peppermint too – both rich and flavorful with a hint of cold and spicy. is it possible to use semmisweet chocolate insted of mint? This cake is calling out to me. I can never get too much chocolate and the combo with peppermint never gets old! 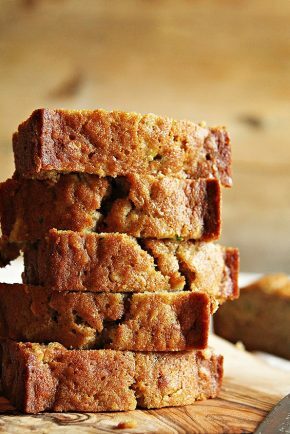 It’s just the kind of dessert I love bringing to the table and sharing at the holidays. Peppermint in December is it. yes!!! Amanda, love this cake!! and covering it in melted Andes® creme de menthe chips and then sprinkling some around the top is the only way to do it, yo. gorgeous and that is like the perfect slice!! Your blog is absolutely gorgeous! I just want to crawl inside and stay forever! Love this chocolate cake. I can never get enough of chocolate and mint especially during the holidays! Love this cake, it looks absolutely gorgeous! You can never go wrong with the classic combination of chocolate and peppermint. 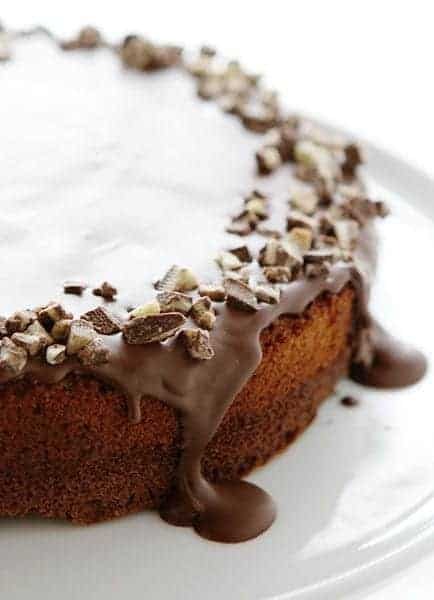 This cake just looks SO incredibly delicious and I am so craving a slice right now! Legit speechless, these chocolate peppermint cake recipe looks unreal!!! I am obsessed with desserts! Definitely cake will be yummy! 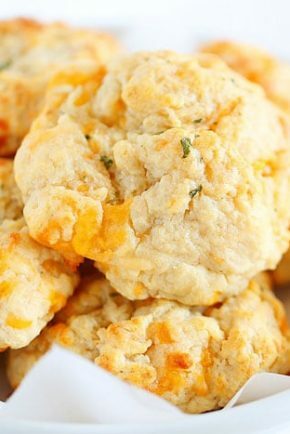 Thx for sharing recipe, i definitely add it to my cookbook! I finally got to make this chocolate peppermint cake this past weekend and it was such a hit! !